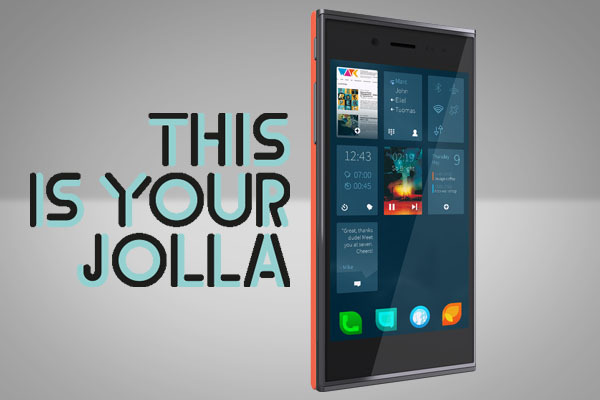 The Jolla mobile phone is a mobile phone produced by Jolla that runs the Sailfish OS, released on 27 November 2013.At first the phone can be ordered on the web only from within the European Union. Currently is available worldwide from Jolla internet store. Finnish startup Jolla recently introduced its Sailfish OS-powered smartphone with the same name in the Indian market, offering consumers an alternative to Android, Windows Phone, BlackBerry and iOS (iOS is exclusive to Apple’s high-end phones though) platforms. For those unaware, Jolla was founded by former-Nokia employees involved with the development of MeeGo OS and the ill-fated Nokia N9 phone it powered. The group of employees decided to take forward the Linux-based OS to the next level and ensure that it doesn’t die a death of oblivion following Nokia’s abandonment of MeeGo. Nokia paid employees leaving the company €25,000, but had not given any rights to patents or other intellectual property to Jolla. While Jolla’s Sailfish OS can be considered a direct successor to Nokia and Intel’s MeeGo and the N9 mobile phone, only its software is based on the open-sourced components of MeeGo, while the closed-source user interface design for all future devices had to be developed from scratch.